I’m wondering, as a New Yorker, how I can reach Bill DeBlasio, our new mayor, and encourage him to read this article and to think carefully about how the city will educate all of the potential pre-k students in New York City. We could really make a difference and set an example here! Universal pre-kindergarten education finally seems to be gathering momentum. President Obama highlighted the issue in his 2013 State of the Union address and then mentioned it again in this year’s. Numerous states and cities are launching or expanding early-education initiatives, and New York City Mayor Bill de Blasio has made this his signature issue. Disagreements persist about the details of funding, but a real consensus has begun to develop that all young children deserve what has until now been unaffordable by low-income families. But here’s the catch: Very few people are talking about the kind of education that would be offered — other than declaring it should be “high quality.” And that phrase is often interpreted to mean “high intensity”: an accelerated version of skills-based teaching that most early-childhood experts regard as terrible. Poor children, as usual, tend to get the worst of this. The top-down, test-driven regimen of Bush’s “No Child Left Behind” and Obama’s “Race to the Top” initiatives in K-12 education is now in the process of being nationalized with those Common Core standards championed by the Times — an enterprise largely funded, and relentlessly promoted, by corporate groups. That same version of school reform, driven by an emphasis on global competitiveness and a determination to teach future workers as much as possible as soon as possible, would now be expanded to children who are barely out of diapers. That doesn’t leave much time for play. But even to the extent we want to promote meaningful learning in young children, the methods are likely to be counterproductive, featuring an emphasis on the direct instruction of skills and rote rehearsal of facts. This is the legacy of behaviorism: Children are treated as passive receptacles of knowledge, with few opportunities to investigate topics and pose questions that they find intriguing. In place of discovery and exploration, tots are trained to sit still and listen, to memorize lists of letters, numbers, and colors. Their success or failure is relentlessly monitored and quantified, and they’re “reinforced” with stickers or praise for producing right answers and being compliant. This dreary version of early-childhood education isn’t just disrespectful of children; decades of research show it simply doesn’t work well — and may even be damaging. The same approach has long been over-represented in schools that serve low-income African-American and Latino children; indeed, it was described by the late Martin Haberman as the “pedagogy of poverty” and it continues to find favor in inner-city charter schools. If we’re not careful, calls to expand access to preschool will result in more of the same for younger children whose families can’t afford an alternative. Consider the basic equity argument. Proponents of universal pre-K cite research about the importance of early-life experiences, arguing that children in low-income families are at a real disadvantage in terms of intellectual stimulation, exposure to literacy, and so on. That disadvantage, they point out, can reverberate throughout their lives and is extremely difficult to reverse. Alas, that is precisely the strategy that tends to follow in the wake of goals offered by most politicians and journalists who hold forth on education. If schooling is conceived mostly an opportunity to train tomorrow’s employees, there’s a tendency to look to behaviorist methods — despite the fact that behaviorism has largely been discredited by experts in child development, cognition, and learning. Happily, these do not exhaust the possibilities for early-childhood education. One alternative is sketched out in a wonderful book by Katz and her Canadian colleague Sylvia Chard called “Engaging Children’s Minds: The Project Approach.” Here, teachers create extended studies of rich themes that resonate with young children, such as babies, hospitals, or the weather. Children might spend a month learning about such a real-life topic, visiting, drawing, discussing, thinking. 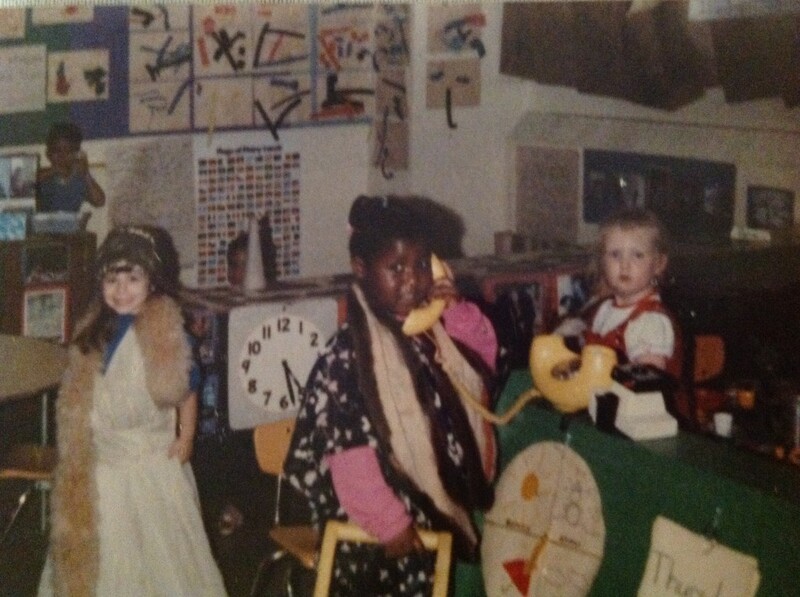 And there are other, overlapping educational models, including two with Italian roots: Montessori education and the Reggio Emilia approach, where “young children are not marched or hurried sequentially from one different activity to the next, but instead encouraged to repeat key experiences, observe and re-observe, consider and reconsider, represent and re-represent.” Educators who have been influenced by Jean Piaget’s discoveries about child development, meanwhile, have built on his recognition that children are active meaning makers who learn by constructing reality – intellectually, socially, and morally. One of my favorite practical resources in this vein for early-childhood educators is “Moral Classrooms, Moral Children” by the late Rheta DeVries and Betty Zan. All of these approaches to educating young children offer opportunities to learn that are holistic and situated in a context. They take kids (and their questions) seriously, engage them as thinkers, and give them some say about what they’re doing. The trouble is that current calls for “high-quality” universal pre-K are unlikely to produce learning opportunities that look anything like this — unless political activists begin tp educate themselves about the nuances of education. 4. Note I say “for play” – not “for opportunities to learn by playing.” The point of play is that it has no point, and children deserve the opportunity to engage in it even if it doesn’t teach skills or anything else. See http://ow.ly/ta2uT. 5. Alfie Kohn, “Early Childhood Education: The Case Against Direct Instruction of Academic Skills.” Excerpted from The Schools Our Children Deserve: Moving Beyond Traditional Classrooms and “Tougher Standards” (Boston: Houghton Mifflin, 1999), and available at www.alfiekohn.org/teaching/ece.htm. 6. Alfie Kohn, “Poor Teaching for Poor Children…in the Name of Reform,” Education Week, April 27, 2011. Available at www.alfiekohn.org/teaching/edweek/poor.htm. 7. Richard Rothstein, “Class and the Classroom,” American School Board Journal, October 2004, p. 18. 8. Stipek is quoted in David L. Kirp, “All My Children,” New York Times Education Life, July 31, 2005, p. 21. 9. Lilian Katz, “What Can We Learn from Reggio Emilia?” In The Hundred Languages of Children: The Reggio Emilia Approach to Early Childhood Education, edited by Carolyn Edwards et al. (Norwood, NJ: Ablex, 1993), p. 31. 10. Lilian Katz, “The Disposition to Learn,” Principal, May 1988, p. 16. 11. Carolyn Edwards, Lella Gandini, and George Forman, Introduction to The Hundred Languages of Children, op. cit., p. 7. This entry was posted in Investigating Choice Time: Inquiry, Exploration, and Play and tagged Alfie Kohn, Bill DeBlasio, high quality, pre-k, signature issue, Universal pre-kindergarten on February 8, 2014 by Renee. I admit I am deeply frightened by what the rheeformers will do to early childhood education. I have already seen the mess they have made of kindergarten which is already causing traumas for our little ones. I have previously said here, I think, that my granddaughter’s kindergarten had no blocks, no toys, no dress-up, no painting, no clay, no movement really. The children sat and listened to books – that was the positive. The rest was all seat work with paper and pencil and worksheets. When they finally got a dance teacher, she taught them their ABCs. It was truly appalling. I had the great fortune of working at the Harold E. Jones Child Study Center under Hannah Sanders and Thelma Harms. Everything we accomplished there had much to do with the space, the equipment, the indoor and outdoor space, and the fact that there were four adults to 15 children. After working there for a year, I decided I never wanted to teach children again, and I didn’t. I knew that the majority of children would never have the wonderful experience at this Study Center which is what all children truly deserved. Thanks so much for re-posting this article, Renee. Everyone indeed needs to read it! I’ve tweeted it and will continue to send the link out to my network. This deBlasio push is providing needed fuel and press for work that was already taking shape. But we need Kohn’s wisdom, to put language to what we are all thinking. I’m so glad he mentioned the Reggio approach in his list of better philosophies, and I look forward to seeing the reaction of NYC to the Reggio “Wonder of Learning” exhibition next year! So timely. Perhaps not early enough, but we can’t complain. In Red Hook many colleagues are working together to make Kohn’s dream a reality. 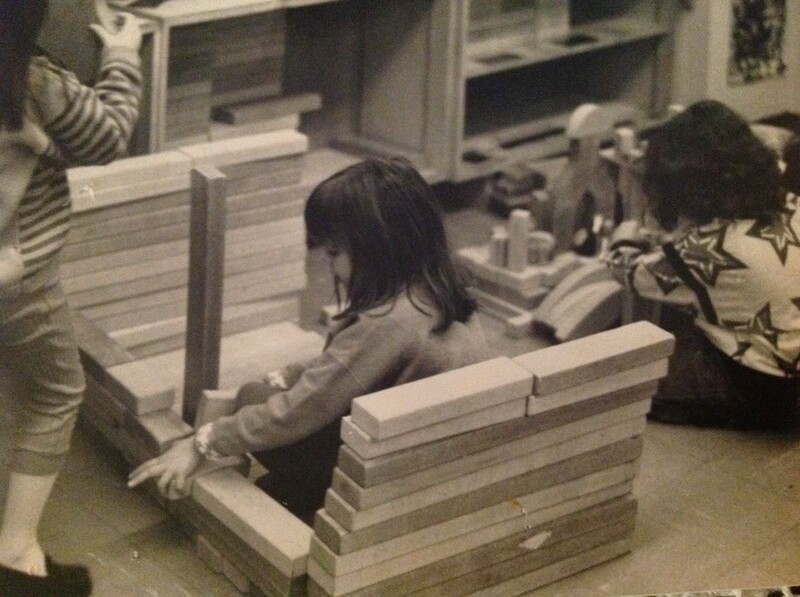 It’s definitely my personal dream: democratizing Reggio-inspired early childhood classrooms, making them available to the poorest children of NYC, not just the children of the elites. It’s a long road, but one we’ll not easily give up on. There are many kindred spirits joining hands, thankfully!